Just like that your time in school has come to an end and graduation is right around the corner. You know what that means... it's time to search for the perfect dress! You have spent the last 4 years in class, a library, or staring at a computer screen preparing for this day. Let the stress subside, and replace it with excitement! Whether you are wrapping up high school or finishing up school altogether with your college graduation don't let what you are wearing be another thing on your to do list. Sit back, relax, and let us guide you through the perfect outfit to wear for your graduation day. A classic white dress is the perfect option for this occasion. No matter what your school colors are white always fits perfectly in the background to allow your cap and gown to be the real showstopper! We love the boho style of this dress in particular. Not only is it perfect for a commencement ceremony but you can dress it down with flats and wear it all summer long! A tan ankle strap heel is a great shoe selection to compliment this classic white dress. 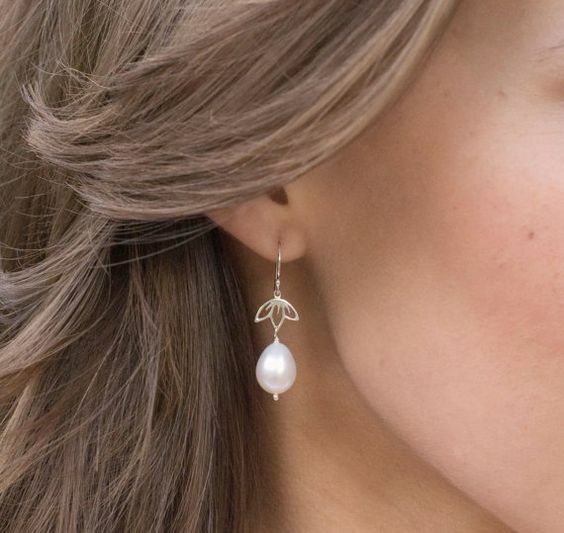 To finish your look we suggest you go with a great set of elegant pearl drop earrings. Congratulations and best of luck on all your shopping adventures!